Typical green Northern Barrens Tiger Beetle (Cicindela patruela). Unusual red-phase Northern Barrens Tiger Beetle (Cicindela patruela). Now hopefully most of you reading this are familiar with the term 'life list' - if not, checkout the very entertaining movie, "The Big Year" staring Jack Black, Steve Martin, Owen Wilson, and many others... Just like the birding community, many tiger beetle enthusiasts life list their finds, sometimes traveling great distances for a chance to observe and photograph an elusive species of these apex micro-predators - and I am no exception. In early July 2015, I caught wind of a recently discovered population of Ghosts in Portage County, Wisconsin where dozens of individuals were observed. After more than seven years of looking for this species in Minnesota, I was more than willing to drive the roughly four hours to the site to be able to photograph and therefore life list this species once and for all. 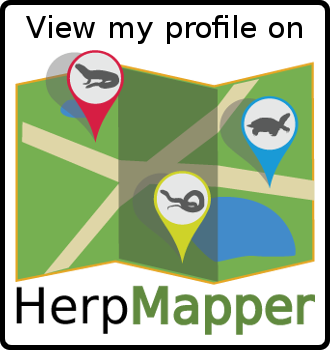 However, I was unable to get to the site for a couple weeks, and it was very possible that the species would already be gone for the season (some adult tiger beetles seem to have very short flight periods, lasting only two to three weeks). A view of the sand pile from the road. Once out walking on the sand, and after years of searching elsewhere, I finally had my own proof that ghosts are real! 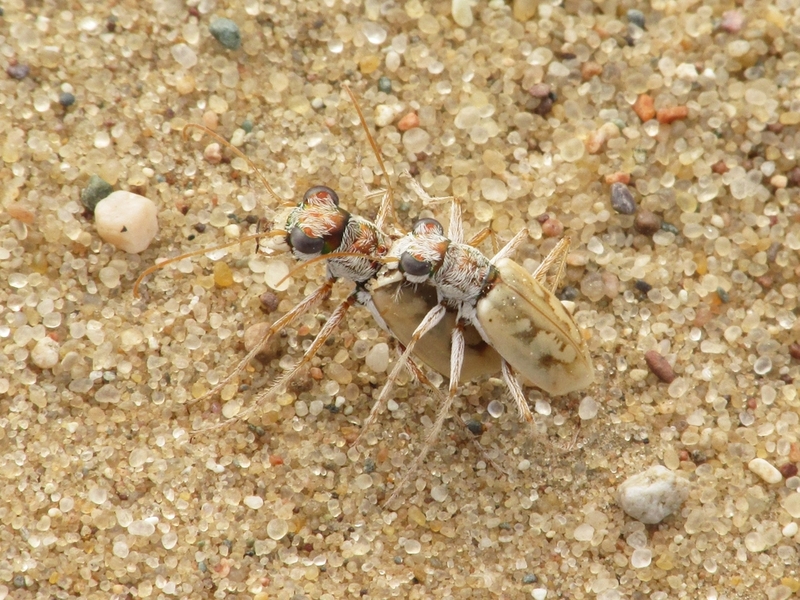 As you can see, the Ghost Tiger Beetle is well named as it blends into is sandy habitat extremely well. Though this beetle is tiny, only 9-11 mm, it is a ferocious predator that runs down any arthropod smaller than itself. Lifer Ghost Tiger Beetle (Ellipsoptera lepida) - Portage County, Wisconsin! It's tough photographing these beetles in harsh light. 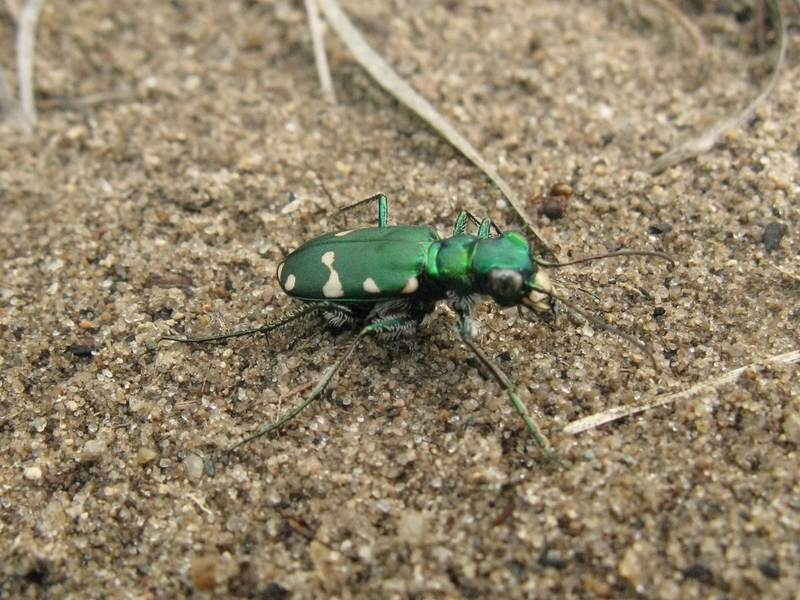 Threats to the Ghost Tiger Beetle include habitat loss via housing developments, sand stabilization, sand mining and pine plantations, and habitat degradation by ATVs, natural succession, and invasive species (e.g., spotted knapweed). Light pollution may also impact populations as this species is readily attracted to lights after dark (Ron Huber, pers. comm.). Like many disturbance-dependent species, there seems to be a fine line between disturbing a site enough to maintain suitable habitat, and disturbing a site so much that the species is lost. To learn more about how some insects respond to disturbance, see my previous blog post entitled, "A brief introduction to insect biology and conservation with special attention to prescribed fire effects." A special thanks goes out to the butterfly and tiger beetle enthusiast in Wisconsin that helped me along the way, and another thanks to the private landowner that allowed me to photograph these elusive beetles on his property.